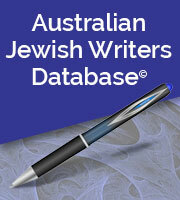 Welcome to a unique storehouse of information about Australia's Jewish writers. Our aim is to support our writers in this unmatched database -- by making it easy for you to buy their books. As a special service we can source almost any book for purchase. This database contents and list are COPYRIGHT TO THIS WEBSITE © Jewish Australia.com 2018. Written permission must be obtained from the publisher to reproduce this list in any form. Translated by Leah Ajzenbud. Melbourne (Globe Press), 1986. Niesvizher Yidn. Niesvizh's Jews. Short stories, Melbourne, 1965. Nusach Y. Rapoport. Y. Rapoport's Style. Melbourne, 1967. The Emperor of the Ghetto is a one-man play which deals with Mordechai Chaim Rumkowski, the Jewish Leader of the Ghetto of Lodz and his dilemmas in dealing with the Nazis. It was first performed at the Caulfield Arts Centre in 1993, followed by seasons at the George Fairfax Studio (Victorian Arts Centre), St Martin's, the Adelaide Fringe and Tasmania as well as performances in over seventy schools in Victoria and South Australia. Marcelle Freiman is a lecturer in creative writing and post-colonial literatures at Macquarie University, Sydney, and has completed her doctorate on the novels of J. M. Coetzee. Her book of poems Monkey’s Wedding (1995) was highly commended for the Mary Gilmore Prize in 1996. Her poetry is published in journals in Australia and England and has been read on radio and in performance. Sandra Goldbloom Zurbo began writing fiction at the age of 50. Her first novel, The Book of Rachel was published by Allen & Unwin (1998). It was twice in both the Australian Book Review and The Age Top Ten lists. Sandra Goldbloom Zurbo's short stories and poetry have been published in magazines and newspapers, including Westerly, Generation and The Age, and in an anthology of modern Australian Jewish writers, Enough Already (Allen & Unwin, 1999). Kathy was born in Paris, France, to Alexander and Marika Weinberger, young Holocaust survivors who had left their native Czechoslovakia in 1947. The family emigrated to Australia in 1950, and settled in Brisbane. Interview with Ramona Koval on "Books & Writing"
SUTTNER, Immanuel Sydney poet Immanuel Suttner was born in South Africa, lived in Israel for ten years, and now resides in Sydney. He has published fiction and non-fiction for children, and a collection of verse, Hidden & Revealed (Quartz/Snailpress 2007). His poems have also been published in literary journals in South Africa, Israel and Australia, and anthologised in several collections. His most recent book was "The African Animal Football Cup", which won the Inaugural Fiction Prize at the Woollahra Local Writer's Word Festival. He enjoys singing, bushwalking and Hebrew poetry. writer “School’s Out” published by Penguin in 1975 with co author Ken Newcombe. A book about what Australian kids would like their school to be. Now published in Australia, England, Holland, Germany, Italy and France. A film is in the works: stay tuned to this page for details as they come to hand. A compassionate guide to dealing with depression. Born in Mexico between 1926 and 1930. Zwi moved with her parents to South Africa in 1930. They were originally from Lithuania. In 1949, she made Aliyah to Israel in an effort to move away from Apartheid, spent some time in London, and then moved back to South Africa in 1953. Zwi graduated from the University of the Witwatersrand (Johannesburg) in 1967 with an Honours degree in English Literature. Rose worked as book editor at Ravan Press between 1979 and 1981, and began visiting black townships to take part in illegal poetry readings. In 1988, Rose moved to Australia, where she continued publishing her books. Rose has also written short stories, including "Stones", which won the Thomas Pringle award for best short story. Fay was born in Melbourne, Victoria, in 1933. She graduated from the University of Melbourne with an MA, and began publishing poems and short stories in the 1950's. She had a career as a concernt pianist for several years, and then took up a position as Senior Lecturer at the University of Western Australia in their English department from 1972 to 1987. Zwicky was a member of the Literature Board. In 1982, Zwicky was writer-in-residence at Macquarie University (Sydney). In 1984, she was writer-in-residence at Rollins College in Florida (USA), and in 1985, moved to LaTrobe University (Melbourne). The program of the Makor Jewish Community Library, Melbourne. Both the Lamm Library and Jewish Holocaust Centre Library assist local Jewish writers seeking to publish their memoirs. The Holocaust Centre helps to publish memoirs written by Holocaust survivors who are directly engaged with the Holocaust Centres as current or past volunteers. 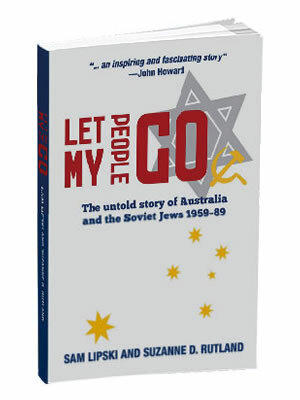 The Lamm Library, through their continuing Makor Write Your Story program, fosters the publication of Jewish non-fiction stories of a vast array of Jewish topics by the Melbourne Jewish community. Cherny, Sylvia Who is Sylvia? Thank you to those readers who contributed suggestions, corrected links and love this database! Special special thanks go to David Ad?s, author of "Mapping the World" and a great friend of this project.